Darhor Tech established the calibration Laboratory since 2001 which now is one of the few flow calibration laboratories in China. 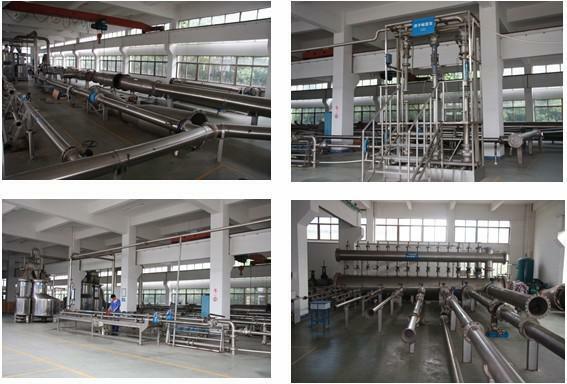 Our laboratory was equipped with 4 sets of flow standard devices with total 8 pipelines. Our variable head dynamic volumetric standard devices can calibrated maximal flowrate up to 20000m3/h, and the total uncertainty of the system is superior to 0.037%. We also imported Krohne calibration devices with high potential tank steady head static weighing method and 4 calibrating pipelines that is capable for calibration of fluid flow meter with size of DN3 ~ DN1200. Accreditation Standard》 stipulated by CNAS (CNAS--China National Accreditation Service for Conformity Assessment, and obtained the approval of CNAS to be authorized by Zhejiang Province Institute of Metrology. All our calibrations meet the most demanding standards of the authorities of ISO/CNAS and traceable to the Zhejiang Province Institute of Metrology with an unbroken chain of comparison.